Have a lawn to be proud of! Introducing a superior way to have your lawn cut and maintained. Premier Lawnmowing Services uses its association with the renowned Old Lawnmower Company to offer a grass cutting service of the highest professional standard. 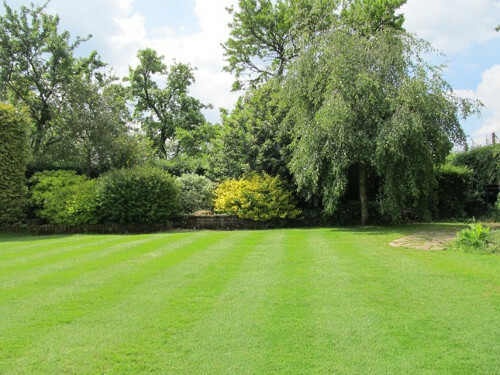 Our use of traditional British cylinder lawnmowers ensures that your lawns will be treated to the same quality of cut as the top-class golf courses and stately homes. We select from our range of rebuilt and expertly maintained machines which cater for the smallest to the largest areas. These cylinder mowers give a greatly superior cut to even the best conventional rotary mowers (Hayter, Honda etc) as they cut the grass in a much finer way. Rotary mowers just flail the grass, injuring the tops of the leaves which inhibits their natural growth and actually dulls the overall effect of the lawn. They also cause grass shoots to be uprooted which leaves room for weeds to grow and also for moss and thatch to take over. Cylinder mowers, however, use a scissor-like action that gives a clean cut and a superior, vibrant looking lawn. The heavy rollers on our mowers also give distinctive stripes and level and compact the lawn which progressively improves the look and cut. Over a period of time, the benefits of this more gentle maintenance of the grass leads to a healthier, more abundant growth which, apart from the improved appearance, also acts as a barrier to weeds. 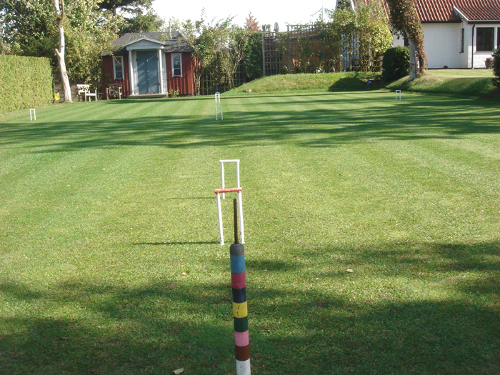 See how professional equipment can enhance your lawn - you will be amazed! We operate in the Hertfordshire , Buckinghamshire , Bedfordshire and Oxfordshire areas - please see ourcoverage section for details.